Mullen, who has tried more than 100 cases, was instrumental in expanding the firm’s base practice into the west coast of Florida, Broward, Palm Beach and Monroe counties, and opening the West Palm Beach office. Today, his practice focuses on products liability, medical device litigation and professional liability — a field that’s grown in the past few years. “There is less resistance from plaintiff’s lawyers to take on legal malpractice cases,” he adds. Greg Gaebe, founding partner of the firm, has tried more than 150 jury trials, and in one year alone, tried 15 cases to verdict. Known as a “defense lawyer’s lawyer,” Gaebe is a member of the Federation of Defense and Corporate Counsel and the International Academy of Trial Lawyers. In his practice, Gaebe handles products liability, bad faith insurance claims, legal malpractice, and catastrophic personal injury cases at both the trial and appellate levels. He has been involved in the defense of major tobacco cases, of Sabreliner in the ValuJet crash lawsuits and of Southland Company in a national class action for alleged Americans with Disabilities Act (ADA) violations. “Little cases at the start can raise larger issues and become more complicated as time goes on,” says Gaebe, noting that partners Mark Antonelli and Devang Desai represented a Florida citrus grower in an international orange juice recall over salmonella, with Antonelli serving as national trial counsel. The firm has also defended clients in class actions ranging from diagnostic MRI scanning fees to insurance premium issues. Gaebe is often called on as an expert on bad faith, and has defended many individuals, corporate entities and insurance companies in catastrophic exposure cases. He also handles insurance coverage matters and defends municipalities in high exposure claims involving civil rights allegations. Partner Anthony DiMatteo, who leads the firm’s West Palm Beach office, concentrates his practice in the defense of insurance third-party claims as well as defending first-party lawsuits against insurance carriers. 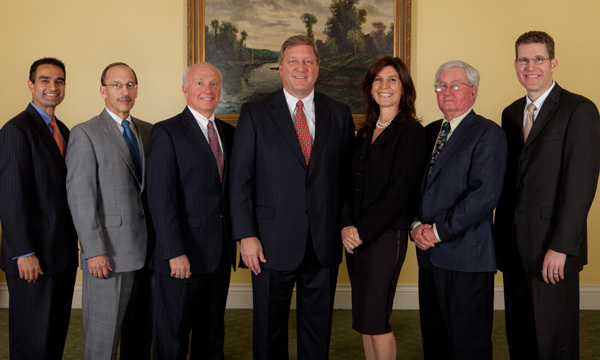 An experienced litigator at both the trial and appellate levels, DiMatteo has been with the firm since 1987. Coral Gables partner Mark Antonelli represents insured and self-insured clients in all aspects of civil litigation matters, with a primary emphasis in the personal injury and premises liability and negligent security claims. He also handles municipal liability defense cases, including police civil rights litigation. As a result of his participation in the defense of claims in the ValuJet crash lawsuits, Antonelli serves as South Florida trial counsel for a helicopter manufacturer. “Municipal liability litigation will always be present in South Florida,” says Antonelli. “Wrongful death and complex litigation are key parts of our practice because we are willing to take the time to do a full investigation. which frequently leads to significant evidence that helps our clients “ said Chris Moore, a partner in the firm’s West Palm Beach office, who handles wrongful death, premises liability, products liability, and construction law as well as coverage litigation. Antonelli and Desai also handle transactional work, including matters involving the purchase and sale of healthcare practices and large real estate ventures. One of the firm’s long-time clients is Johnson & Wales University in North Miami. “Back in 1992, we helped our client close on the site that became the start of their campus seven days after Hurricane Andrew,” recalls Antonelli. Christienne Sherouse, the firm’s first female equity partner, represents insurance companies in first-party litigation, advises insures on avoiding bad faith claims and represents a variety of businesses from armored car companies and auto dealerships to property owners and managers. In addition to defending her clients in litigation matters, she has won clients’ trust by guiding them in developing ways to avoid the problems that lead to litigation in the first place. One of the underlying values at Gaebe, Mullen, Antonelli & DiMatteo is leadership in the community as well as the legal profession. Antonelli is president of the South Florida Council of Boy Scouts of America, has coached youth sports in the past and is a past president of the Florida Defense Lawyers Association. He is among several members of the firm who attained the rank of Eagle Scout in their younger days. Desai, a partner in the Coral Gables office, serves as president of the University of Miami School of Law Alumni Association. “I enjoy that sense of connection with the university and working with a ‘hometown’ law firm in Coral Gables,” Desai adds. Sherouse is on the boards of Camillus House Young Leaders and Friends of the Everglades.